I have more than one child, and money's a little tight. Are there any sibling discounts? What is "fundraising"? Is it mandatory? Can I pay my fees with a credit card or check? 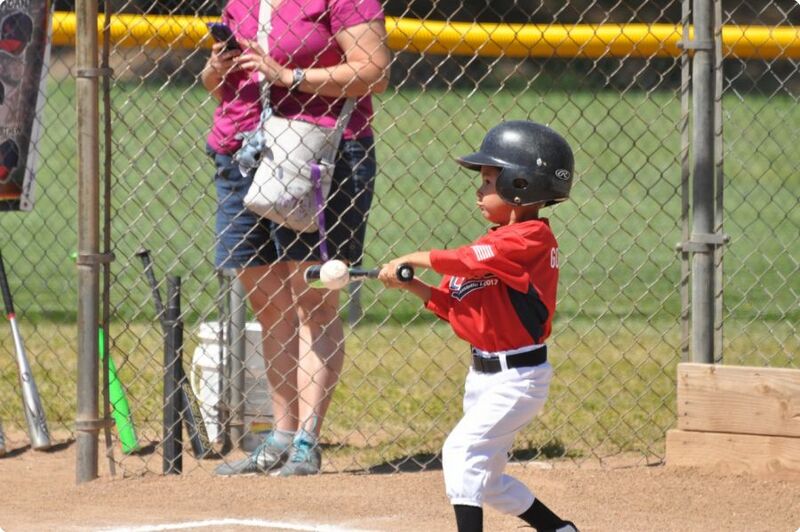 Is my child too old / too young for your League? 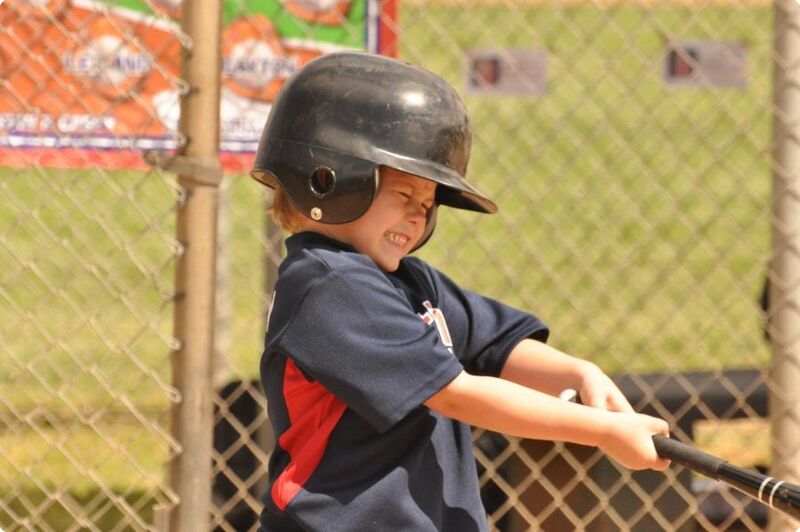 My child has no baseball experience. Can he/she still play? My neighbor is also signing up. Can he/she play on the same team as my child? We had an unpleasant experience with another league. What makes your League different? 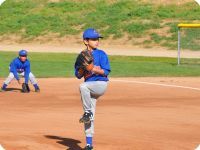 I'd like to help coach my child's team. What are the requirements for coaches? When does the spring season start? Managers will receive their rosters on February 2, 2019. They will be calling you the first or second week of February to set up their first team meeting or practice. 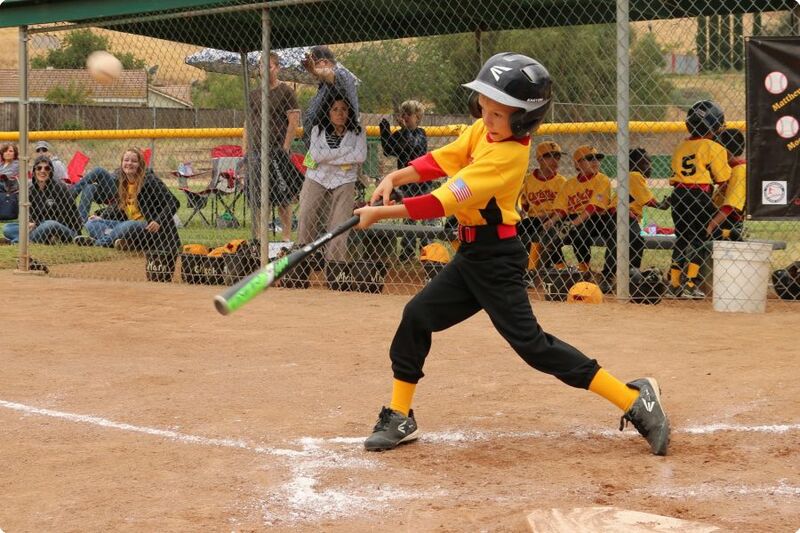 Opening Day Ceremonies/Picture Day is scheduled for Sat., March 9. 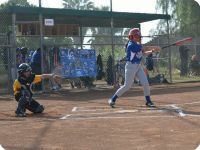 The first games are played on Sat, March 16. How long does the season run? Regular season ends late May or early June. All competitive divisions (Farm thru Majors) play in a post-season tournament, which could run into the third week of June. Closing Ceremonies are June 8. Some players in the competitive divisions will play in the All-Star game on June 22. How much does it cost? Registration fees (including mandatory raffle tickets per player and PCA materials fee per family) are $140 per single player for competitive divisions (Farm thru Majors). T-Ball is $130. These fees are due at the time of registration. In addition, you are responsible for $90 per child in fundraising, due March 2. I have more than one child, and money's a little tight. Are there any sibling discounts? We do offer a $10 discount off the registration fees for the second sibling player, $15 off the third sibling player, and $20 off the fourth and subsequent siblings from the same household. We also offer $10 off your fundraising commitment for the second and subsequent siblings. What is "Fundraising"? Is it mandatory? The real cost of running the League is considerably more than the registration fees. Fundraising allows us to fill this gap in a few different ways. You are responsible for $90 in fundraising revenue, which can be satisfied by selling candy, buying an ad in our keepsake yearbook, or simply "buying out". What does the cost cover? In return for your fees and fundraising, your child receives a jersey and hat, basic portrait package, trophy, and yearbook. We are a non-profit organization. Everything is put back into the League. 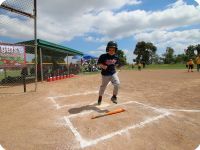 Your fees also cover the costs of running the League - umpires, water and utilities for the fields, baseball equipment, and maintenance of the grounds. Can I pay my fees by credit card or check? Returning players may mail their forms in with a check to cover the fees. If you come to one of our signup sessions, you may pay by cash, check, or credit or debit card. A 3% processing fee will be assessed if you use a credit or debit card. 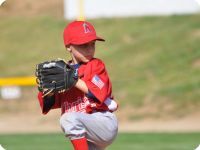 Is my child too old / too young for your League? If your child is not yet 4 by June 30, 2019, he/she is underage. Except for 2018 returning CAL players who do not turn 14 by June 30th, if your child turns 13 before June 30, 2019, he/she is too old to play in this League. NO EXCEPTIONS WILL BE GRANTED FOR OVERAGE CHILDREN! 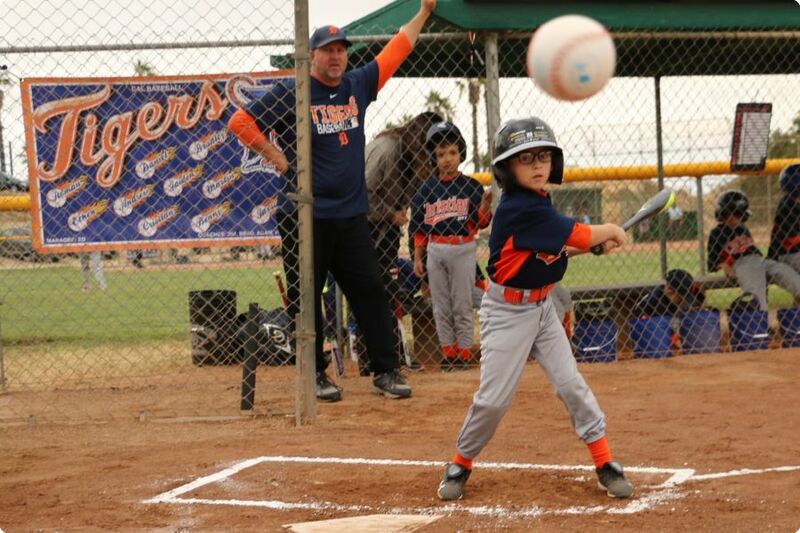 My child has no baseball experience. Can he/she still play? Absolutely! We believe that everybody has to start somewhere. We have some beginners in every division. We do ask that you play some "catch" with your child as often as possible. Are there "tryouts" for this League? There are no tryouts - if you sign up, you play baseball. We do ask that all new players and players in the blind draw attend a skills assessment session that is concurrent with our January Saturday signups. These sessions are a tool we use to help evenly distribute the talent among the teams. My neighbor is also signing up. Can he / she play on the same team as my child? We will try to accommodate carpool requests if both children are new to the League or in the blind draw. If one of the players is a returning "protected" player, this may not be possible. We had an unpleasant experience with another league. What makes your League different? We are an independent League and not governed by the policies of a larger organization. 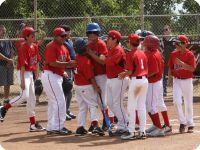 For the last ten years, we have partnered with the nationally renown Positive Coaching Alliance (www.positivecoach.org). 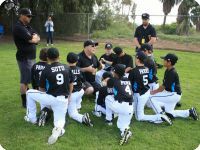 They are a non-profit organization out of Stanford University whose main goals include dispelling the "Win at all cost" mentality that is prevalent in youth sports today. 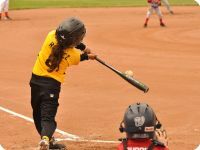 We realize that winning is one of the goals of all sporting events, but a second, more important goal of a youth sports organization should be to use the contests to teach life lessons. 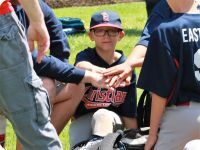 All of our coaches, managers, and board are required to attend a PCA workshop annually, and you, also, will be asked to attend a pre-season Sports Parent's Clinic. All coaches, managers, and other volunteers will be asked to submit to a LiveScan background check as well. I've heard this League isn't that competitive. Is that true? Judge for yourself. Several of our alumni have played or are playing successfully at high school and college levels. 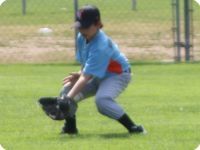 I'd like to help coach my child's team. What are the requirements for coaches? As noted above, coaches are requires to attend a one-evening Positive Coaching Workshop in February. We will have a LiveScan mobile unit onsite at both of our Workshops (beginner and advanced) to allow you to tackle the LiveScan requirement conveniently. Check our Coaches Corner Page for other LiveScan options. 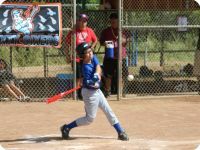 Copyright © 2017 Christian Athletic League, Inc.